Effective mentorship for our undergraduate researchers is highly valued in the Department of Chemistry. Please see below for awards that acknowledge the support and guidance instrumental to the retention and persistence of our undergraduate researchers. This award recognizes an undergrad/grad student pair working in the Department of Chemistry who jointly have contributed to the research endeavor. Awardees will be selected based on their research success(es) and how the grad student enhanced the experience of the undergraduate researcher. To be eligible, the undergrad/grad student pair must be currently working together, and will continue to work together for at least one more semester (or Summer). This award is generously donated from to the Department from Stephen Morton (BS (’54) and PhD (’62) degrees from the UW Department of Chemistry). He credits his career success in no small way to the quality of the education he received and wishes to continue to support students in the Department of Chemistry. Nomination are typically solicited at the beginning of February with applications due in mid-March to the Departmental Scholarships Committee. This mentorship award honors graduate students working in the Chemistry Department who serve as positive role models, thoughtful leaders, and coaches for undergraduate research students. Graduate student mentors can be nominated by their undergraduate mentee. The application consists of a cover sheet and a letter of support written by the undergraduate mentee(s) that addresses 1) the mentors approach to undergraduate research and mentorship by identifying specific activities the mentor does that make him or her stand out as an exceptional mentor and 2) how the mentor has been instrumental in the intellectual and career development of the mentee. A letter of support must also be supplied by the faculty mentor. Applications are typically available at the beginning of February with a deadline in mid-March. career aspirations, and have advanced research in their field through their mentee. 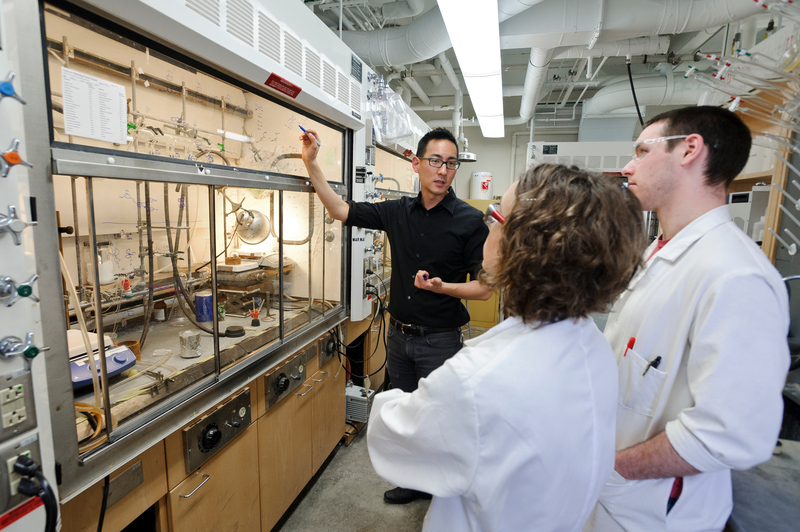 Any current graduate student in the UW-Madison Chemistry Department who is actively engaged in mentoring at least one undergraduate research student is eligible for this award and can be nominated by their undergraduate mentee. The application consists of a cover sheet and a letter of support written by the undergraduate mentee(s) that addresses 1) the mentors approach to undergraduate research and mentorship by identifying specific activities the mentor does that make him or her stand out as an exceptional mentor and 2) how the mentor has been instrumental in the intellectual and career development of the mentee. A letter of support must also be supplied by the faculty mentor. Applications are typically available at the beginning of February with a deadline in mid-March. The Office of the Provost offers awards to recognize the important role mentors play in fostering undergraduates’ intellectual, personal and professional growth through participation in high-impact practices including research, scholarly and creative endeavors. These awards provide faculty members, academic staff and post-doctoral fellows/graduate students with recognition for their excellence in mentoring undergraduates and their contribution to our students’ Wisconsin Experience. The awards provide $2,000 of university expendable funds. Additional information, including eligibility and application forms can be found here.